At AM PRINT SOLUTIONS we're more than just printing. We also offer a wide variety of services to help you bring your creations to life! We have decades of experience in both Marketing and Publishing, and can easily help you with any facet of Production. Countless times, clients have sent projects they believed were "press-ready" only to discover they simply did not know how to properly format the work. That's no problem for us! We routinely work with our clients to format their books, pre-press, layout, or even provide color and lettering services – all for less than they expected! Comic books are one of our core specialties. Over the years we have worked with literally thousands of artists and writers! As such, we have often been tasked to help publishers by acting as "talent agents" to put projects together. Need a painted cover? We've got that. Need lettering or coloring services? No problem. Whatever you need, we can help you achieve it! Another core competency we have built is taking your old content into the modern age. 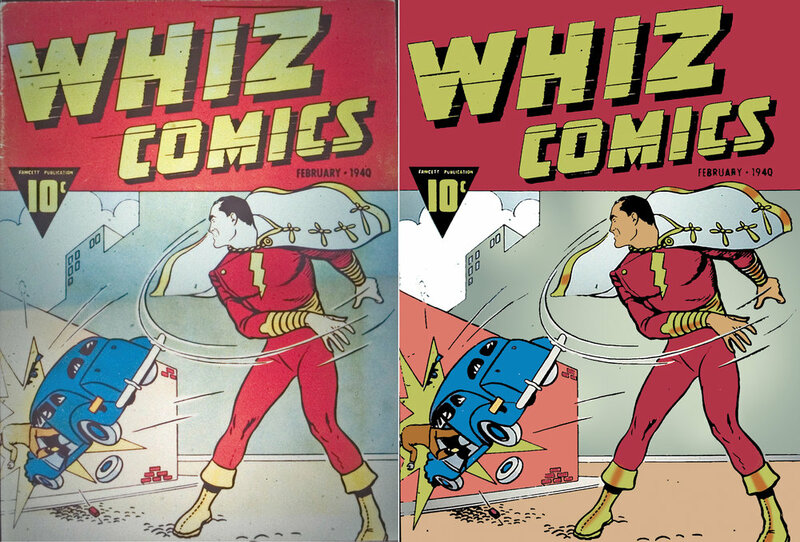 We have performed digitization services countless times... especially for comic book publishers. Whether you provide the scans, or simply old copies for us to scan ourselves... we take these faded works and breath new life into them! What you receive as the end result are print-perfect digital files that are as good as new... and often even better. We've even performed this service on books that literally had holes, rips, tears and whole sections missing! In short, we've seen it all. But you won't believe your eyes at the final results!